Blockchain HR: What is it and why aren't you using it? 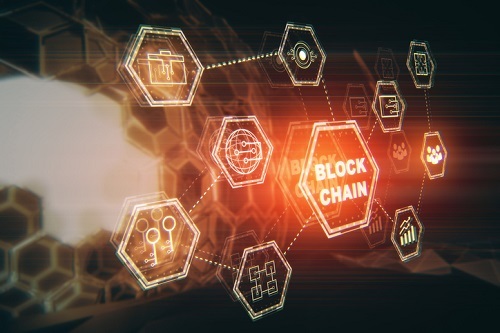 Blockchain – chances are you’ve probably heard the phrase in passing from one of the more passionate tech whizzes in your office. But how well do you understand the theory behind the hype? And how can this new modem actually help facilitate your HR function? Soumyasanto Sen, co-founder and partner at People Conscience, and HR tech leader, helped shed some much-need clarity on the burgeoning tech. “Blockchain is the new internet of the world,” he prefaced. “The main reason organizations have begun introducing blockchain technology is for the privacy and security of data along with trust and transparency. Blockchains are essentially distributed ledgers, which enable secure peer-to-peer encrypted transactions and build trust. There is no central database, and no intermediaries’ middleman. When data is stored centrally, on one side it’s easy for hackers to exploit it, as we see in cases every day across the world. This is a huge issue, which companies try to address continually – but to little avail. On the other hand it provides opportunity to people to have more control over their own data. “Blockchain deals with the concept of decentralizing your data storage, meaning the information is stored all around a network rather than in one specific area,” continued Sen.
“Any transaction that is happening is updated and verified in every single node of this network, making the data significantly more difficult to exploit and also build trust among the peers. On that basis, Blockchain can create individual digital identities which can be relied on as proof and verification of an individual’s professional trustworthiness, identity, qualifications, certifications, memberships, previous work experience, performance metrics and education. So, how can HR benefit from this new technology? Sen believes the most obvious instance regards the future of work in relation to part-time staffers. “There are a lot of employees in the world right now who identify as freelancers, many of whom work cross-borders,” he told us. “There are a few challenges for freelance workers; the first being authentication - the verification process for the pay structure is a lot more complicated. “The second challenge is contractual. Every country has different laws and policies, meaning you’d have to have a collection of contracts for each of the cross-country employees. Blockchain provides Smart Contracts technology which will make these challenges more manageable, both with the contracts and the freelancer payroll.” It’s also reducing the fees from the intermediates authorities. Paying employees using Bitcoin or Ethereum has led to the cryptocurrency market boom in the past few years. There’s a huge demand for it from workers and freelancers who want to be paid using this modem, just as HR’s interest in blockchain has also begun to peak. All these functions make more secure and quicker contracts and payment to the workers.